Named one of the Top 10 New Public Courses in America for 2007 by Golf Digest and Golf Magazine, Leopard’s Chase Golf Club at Ocean Ridge Plantation is the fourth Big Cat in the family of felines. Traversing more than 220 acres of natural coastal terrain, Leopard’s Chase is graced with scenic landscapes, scattered with native grasses and plantings, including preserved wetlands, creating a series of picturesque vistas. Leopard’s Chase features 5 sets of tees to offer a challenge suitable to all levels of golfers with the championship tees stretching to a formidable 7,155 yards and carrying a slope of 142 and a course rating of 74.1. Highlighting the front 9 is the par-4 5th fifth hole, with its island-like green awash in a sea of pearl-white sand created by a large waste bunker that stretches 90 yards into the fairway. The biggest architectural splash on the course occurs at the par-four 18th hole which moves slightly leftward to an elevated green guarded by an elegant man-made waterfall. Sixteen hundred gallons of water per minute cascade down a wall of coquina boulders, the same type of rocks that made Tiger’s Eye famous. This par 72 beach golf course designed by Tim Cate is as scenic as it is enjoyable to play. You will encounter forced carries, some generous landing areas and dramatic elevation changes. 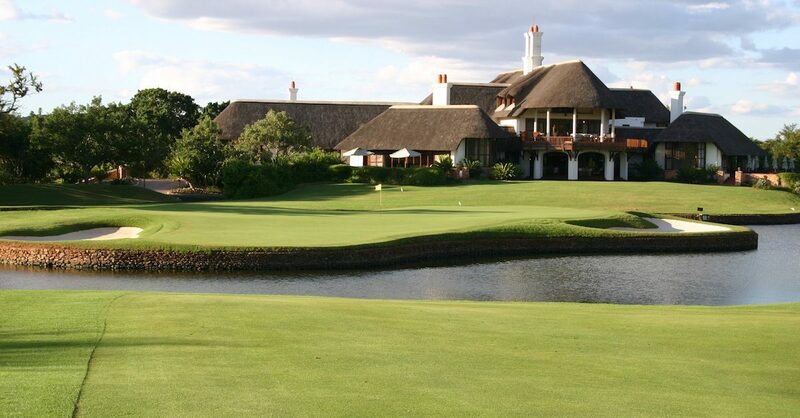 As you travel the 18 holes, you will also notice a varied terrain accompanied by stunning natural vistas. The tee positions will accommodate all levels of play with equal risk and reward situations to allow you the best scoring opportunities. Save your delicate touch shots for the undulating greens. The waterfall along #18 green will calm and relax you as you finish your round. Ranked in the Top 5 among GOLF Magazine’s “Top Courses You Can Play – State by State”. Leopard’s Chase has earned 3 1/2 stars from Golf Digest’s prestigious “Places to Play” rankings. Leopard’s Chase is among Golf Digest’s “Top 100 Public Golf Courses in America”.